Leal, Charles E. (1870-1894), 149 Ellison Street, Passaic County, Paterson, New Jersey. Son of John Rose Leal (1828-1882), a physician and Mary E. Leal, nee Laing (1838-?). His parents were married on August 28, 1855 at Andes, New York. His father was born in Andes, New York, and his mother in Scotland. Photo of Dr. John Rose Leal, father of Charles, our subject. Dr. Leal served in the 144th Regiment, New York Volunteers during the Civil War. He had an older brother John Laing Leal (1858-1914) his senior by 12 years, who was also born at Andes, New York, became a noted physician who, in 1908, introduced chlorinated drinking water into the United States. Photo on right of Dr. John Laing Leal, the brother of the subject of our sketch. Dr. John Laing Leal (1858-1914) appointed City Physician of Paterson, New Jersey in 1888; Health Inspector in 1891; Health Officer in 1892. He built the Isolation Hospital in 1897. In 1899 he was the consultant for East Jersey Water Co, and brought chlorine into drinking water in May 1908. His family was active in the First Presbyterian Church at Paterson and in May 1886 they were charter members of the Church of the Redeemer at Paterson under the Presbytery of Jersey City. In 1884 young Charles, only 14 years old, ran an ad selling Liberty Head nickels and revenue stamps, and postal marks. A few years dealing coins as a neighbor of David Proskey, who lived one mile away at 448 River Street, Paterson, N.J., he commenced publishing at the age of 16 years old, The American Numismatist. Publisher of The American Numismatist from July 1886 to December 1887, with 12 issues published from September 1886 to December 1887. Leal originally sent his copy to be printed for The American Numismatist to New Market, New Hampshire to be printed by F. H. Pinkham, but changed printers beginning in February 1887 to Frank E. Essex in Paterson, New Jersey. After discontinuing The American Numismatist he immediately began publishing the Paterson Evening Telegram. Leal discontinued this paper and in August 1888 began publishing The Paterson Republican. In February 1891 he published his first issue of The Collectors Magazine. He died on October 18, 1894 at the age of 24 years. Tragic, but true. He is buried in the Cedar Lawn Cemetery, Paterson, New Jersey. Keystone Philatelic Gazette, Vol. 1, No. 6, December (1884) : inside back cover. Joel Orosz, "Printer's Devil" column in The Asylum, for Winter of 1997. Wright, W.C. and Stellhorn, P.A. Directory of N.J. Newspapers. New York Times. “Dr. 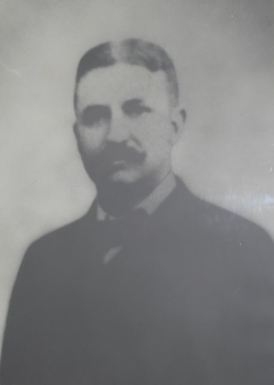 John R. Leal.” August 29, 1882.